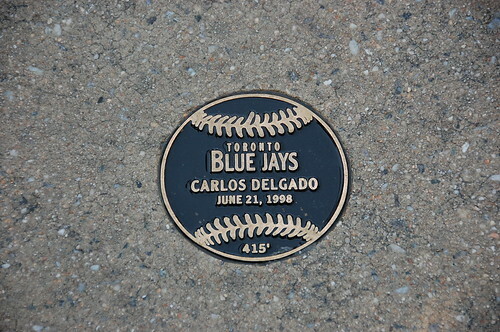 Oriole Park at Camden Yards has a legendary reputation that is entirely well-deserved. 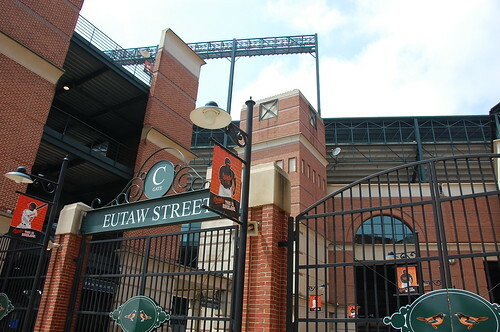 It’s a downtown ballpark with convenient highway and transit access, and was the first to capture the old-time ballpark feel in a modern facility. 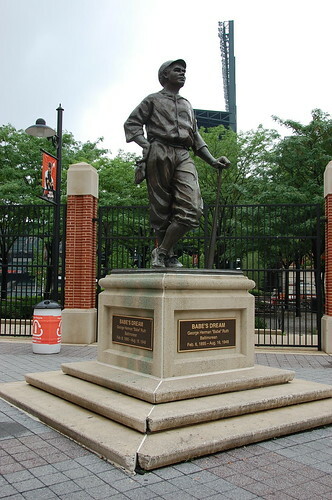 It is a wonderful place to watch a baseball game, and has become an immediate favorite. 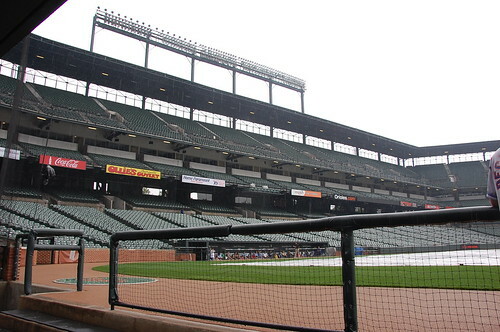 It couldn’t be easier to get to Oriole Park in Baltimore by car. There’s a dedicated exit off of I-95 that takes you straight down to the park, which is surrounded by parking lots. Tip: if you’re getting there early to go on a tour, you can park in the lots immediately adjacent, but you can’t stay there during the game, so be prepared to move it. Ideally, park on the other side of the football stadium, because you”ll be able to get to the entrance back to 95 super-quick. It is worth the walk. 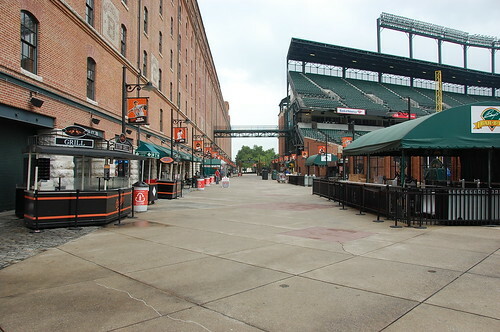 The heart of Oriole Park is Eutaw (pronounced “Utah”) Street, the passageway between the warehouse building – all that’s left of Camden Yards – and the ballpark. 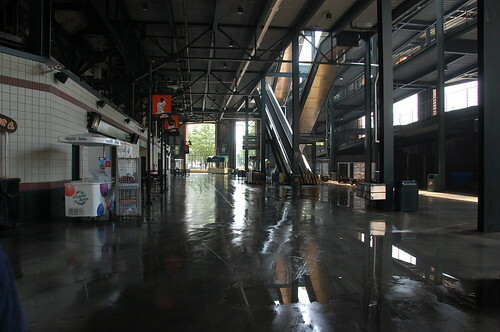 It’s open to the public during the day, but closes off during games. 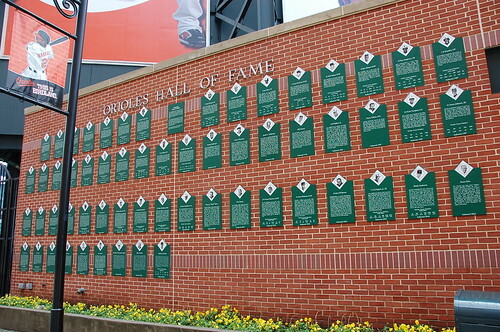 The team store is here, the hall of fame is there, and the ballpark tours start from there. 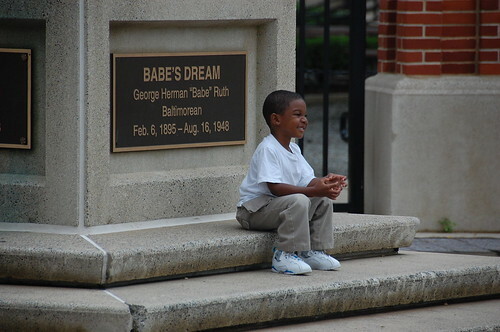 It’s well worth getting to the ballpark in advance of your tour, so you can wander Eutaw Street and see all the markers of all the balls that have made it out of the park and onto the street. If you wait until game time to do this, there will be too many people around. 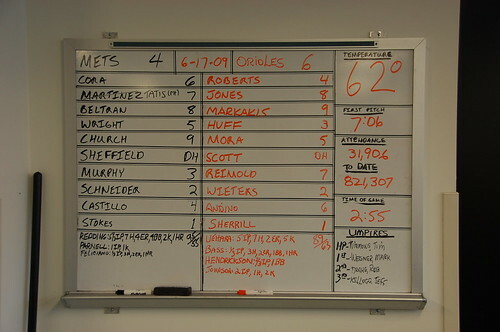 The Orioles have someone in the warehouse building with a camera and blueprints during every game, and they mark where the balls hit and at the end of the season, install the markers. 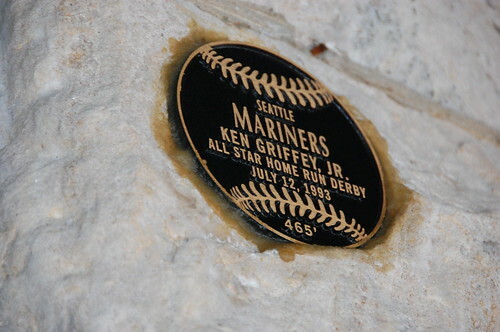 Ken Griffey Jr. holds the record for the ball hit the farthest, but he hit it during the Home Run Derby (carefully denoted on the marker) – where he was thrown “sissy pitches,” as per our tour guide. You get to go on the warning track and in the dugout. We were not rushed and had every opportunity to ask as many questions as we wanted to. 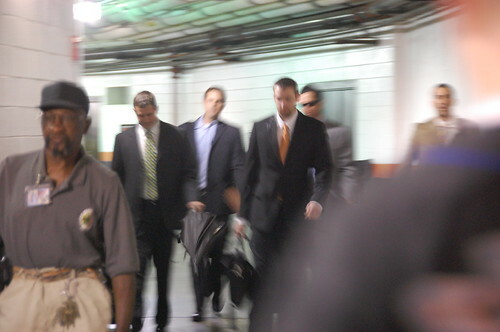 We were thrilled that our group just applauded and chanted “Let’s Go Mets!” and no one acted like an idiot or mobbed them for autographs. 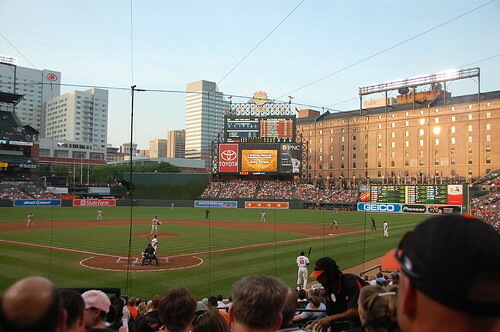 I love the scoreboard at Oriole Park, and I love the backdrop of the warehouse and the city. 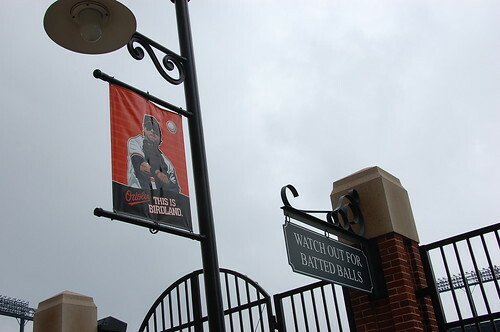 What surprised us, however, was the fact that the retired numbers weren’t represented inside the park, and their pennants were only represented in one graphic in the concourses. The concourses themselves were wide but fairly industrial and bland. But there’s so much character everywhere else. 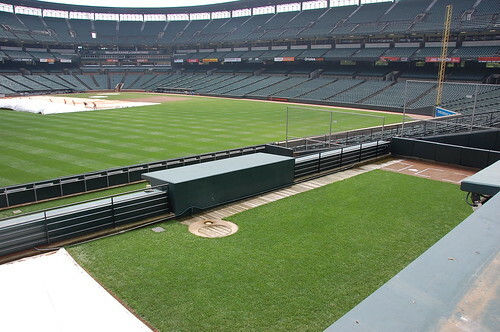 BULLPENS: You may not have access to them during the game, as the area just above them can be use for private events or for the NESN broadcast booth. 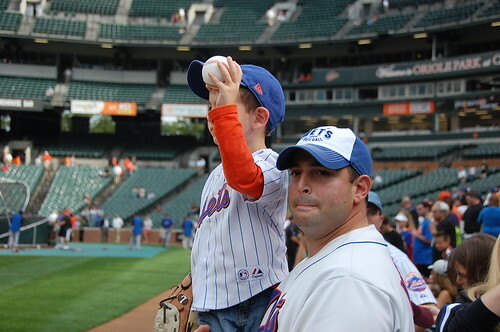 I found that disappointing – what’s the point of an open bullpen next to the stands if the fans can’t get there? 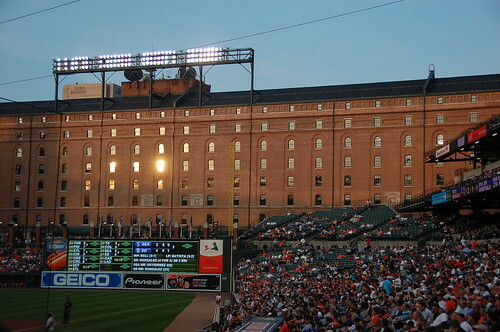 BATTING PRACTICE: The Orioles web site claims that you watch BP from the Flag Plaza and outfield, which is what we counted on, arriving late – only to get a call while we were stuck in traffic telling us that fans were able to get all the way down to the field and behind the dugouts. 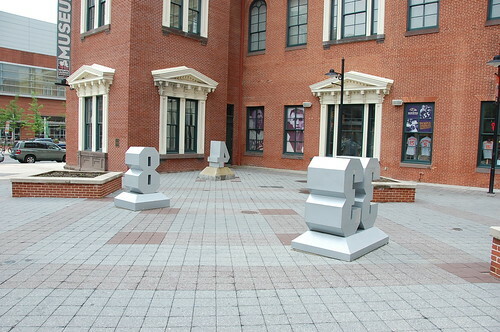 On the other hand, we had tickets for that area – but we were never challenged at any point. FOOD: Everyone recommended Boog’s BBQ, which is out on Eutaw Street, but we had opted instead to go smash crabs with a mallet inbetween the tour and the game, so we were stuffed. We did, however, have one of the trademark “O” soft pretzels. It was the only time that I have had a hot pretzel at a ballpark and had it be actually, in fact, hot. It was also extremely yummy. There is also a crab pretzel, but it was $14. I also have this basic caution about not wanting to have seafood at a ballpark, unless it’s been deep-fried first. 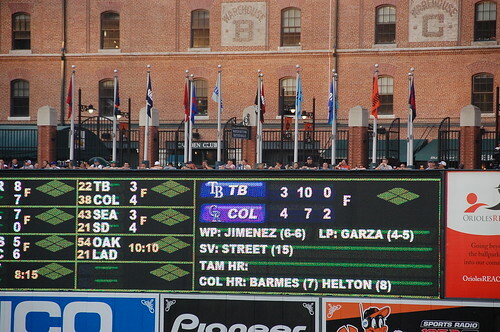 I have never had so many people recommend food to me at a ballgame than I did when I was in Baltimore! That says a lot for either the food or the fans (or both). MASCOT: The Oriole mascot is Oriole Bird, who I was originally not impressed with – the costume seemed a little low-budget – but he is fairly active and displayed good spirit, posing nicely with TBF when requested. He delivered a birthday package to a young fan in our section and the little kid looked like he was about to explode from happiness. 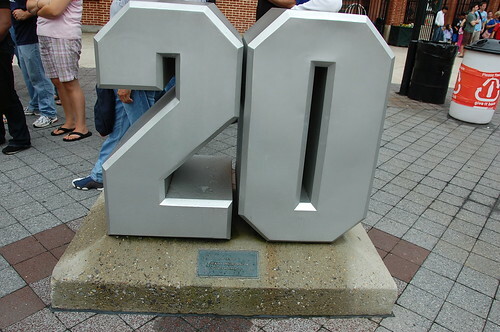 FANS: We had reasonable conversations regarding the Mets and baseball in general with random Orioles fans sitting near us. It turned ugly quick when Frankie blew that save, but ‘ugly’ isn’t like ‘leaving Yankee Stadium after Luis Castillo dropped a simple pop up’ ugly. A few catcalls in our direction. 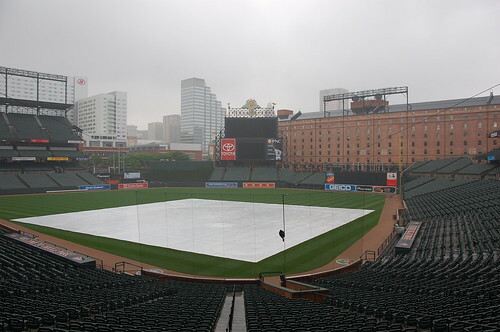 It was kind of cute given that no matter what, the Orioles at this time are not exactly making a playoff run. 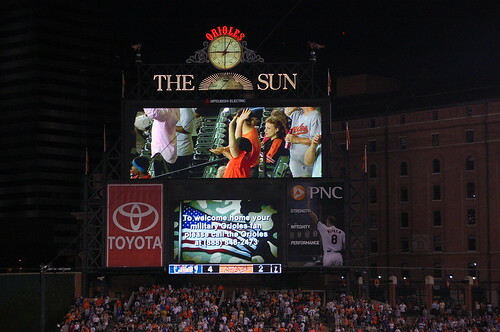 They also do this very weird thing during the National Anthem, which I won’t describe so it will surprise you. 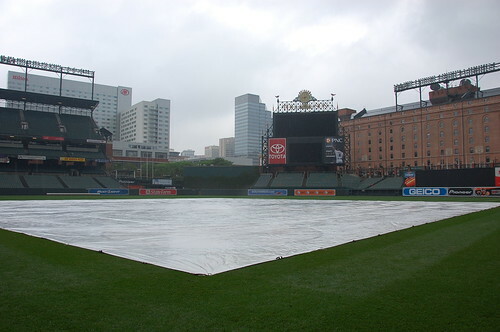 ON THE ROAD: ORIOLE PARK AT CAMDEN YARDS.